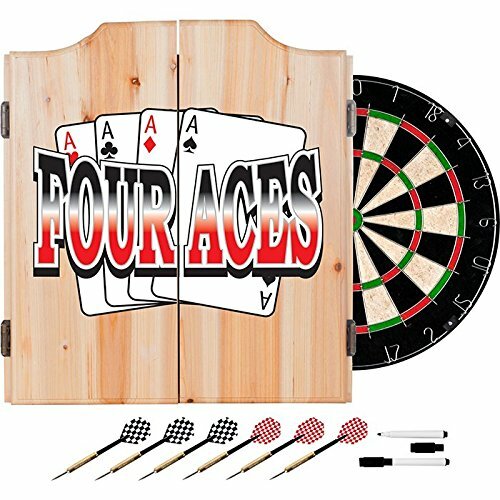 The Four Aces logo dart cabinet features a quality dart board and darts included. Bring the game to your game room, garage or collection with an officially licensed beveled wood dart cabinet. Enjoy competition among friends while pre-gaming, during halftime, or at the after party. It includes a high quality, self healing sisal fiber dartboard, 6 steel tipped darts, dry-erase scoreboard, out chart, marker and mounting supplies. FA7000 Features: -22'' x 25'' solid wood cabinet. -Scoreboards inside cabinet. -2 Sets of darts included. -Full color logo. Product Type: -Dartboard Cabinets. Theme: -Collegiate Sports. Darts Included: -Yes. Scoreboard Included: -Yes. Finish: -Medium. Country of Manufacture: -United States. Dimensions: Overall Height - Top to Bottom: -23.25". Overall Width - Side to Side: -21.25". Overall Depth - Front to Back: -3.5". Overall Product Weight: -0.75 lbs. 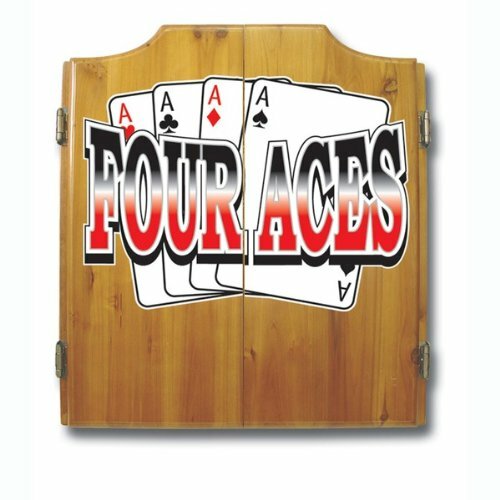 Copyright © Wholesalion.com 2019 - The Best Prices On Four Aces Dart Cabinet Online.